Have you ever felt the deep frustration when you accidently deleted or formatted important data and files? Do you ever wonder if there is a way to recover these deleted data? You don't have to worry about this anymore, because we've got amazing data recovery software to help us. You must be wondering that can deleted files be recovered. To answer this question you should be aware that when you deleted data you didn't really erase data completely from the storage devices, disk or drive. Unless there are other files replace them, they will be somewhere. The free data recovery software I'd like to introduce to you today is called Recuva. Recuva is perhaps the most famous free data recovery software that allows windows user recovers deleted files, recover or restore deleted hard disk partition, restore deleted pictures from internal hard drive or external storage drives, and so on. Meanwhile, we highly recommend a premium alternative free data recovery tool - Data Recovery Enterprise. Let's first see how Recuva works to recover deleted files free. To ensure data security, install and run the free data recovery software from a separate drive, for instance, an external hard disk or flash drive. 1. Start Recuva. If the Wizard doesn't appear, click the "Options" button. Select the "Show Wizard at startup" button, and then click "Run Wizard". 2. Click "Next" on the "Welcome to the Recuva Wizard" page. 3. On the "File Type" page, select the type of files you want to recover, and then click "Next". You could select "Other" if you're not sure what type of files you're looking for. 4. On the "File Location" page, select the location where you want to search, and then click "Next". If you are not sure where the file is, you could scan all the storage devices, which takes longer time. 5. On the "Thank You" page, you can optionally choose to run a deep scan, which may take several hours, but has a better chance of finding your files. 6. Click "Start", the software will display the progress of the scan, and then show its search results in the main window. 7. Click "Recover". Select a destination for the recovered files. Click "OK". 1. Run Recuva. If the Wizard appears, click "Do not show this Wizard on startup", and then click "Cancel". Restart Recuva. 2. Specify the drives, file types, and optionally the file names you want the software to search for. 4. Select one or more files and then click "Recover". Select a destination for the recovered files and then click "OK"
1. Recuva only works under Windows environment. 2. Sometimes previews of files are not available. 3. If you see red light before the file name, usually chance for recovering this file is very small. 4. No "reverse" option available when you select files to recover, making it time-consuming to choose file one by one. 5. It does not support RAID recovery. 6. Users are only allowed one file type to choose when using Recuva Wizard to recover files. 7. Cannot recover files after a Full Format. What makes it different from other free data recovery software is that it also supports partition recovery, raw recovery, deleted recovery and format recovery. 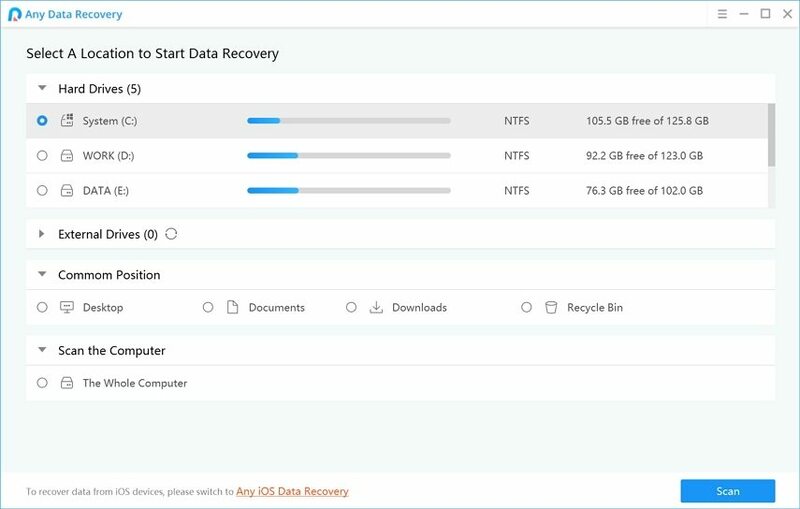 With Free Any Data Recovery, users could be able to copy files and folders in RAID 0 and RAID 5 to other partitions directly. 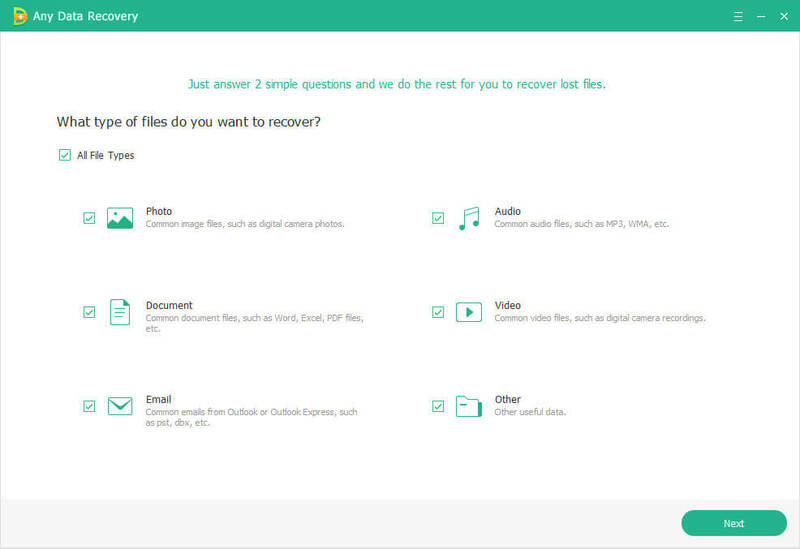 If you want to see how it works to recover deleted files free, download Free Any Data Recovery and have a try.